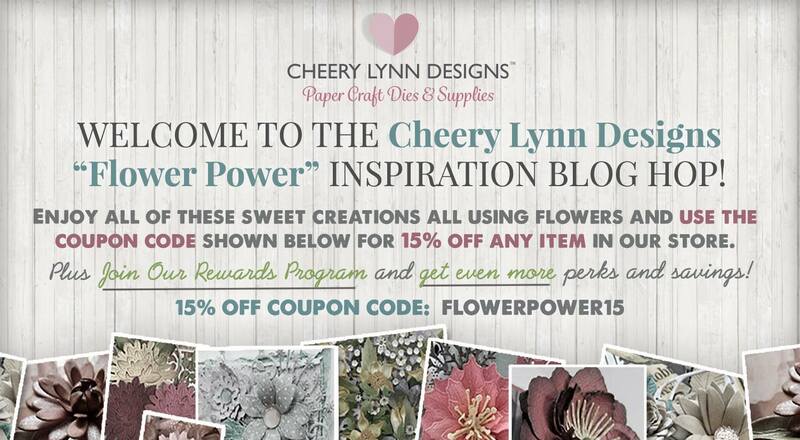 Welcome to the Cheery Lynn Designs Flower Power Blog Hop. If you arrived here from Cherry’s Blog, you are on the right track. 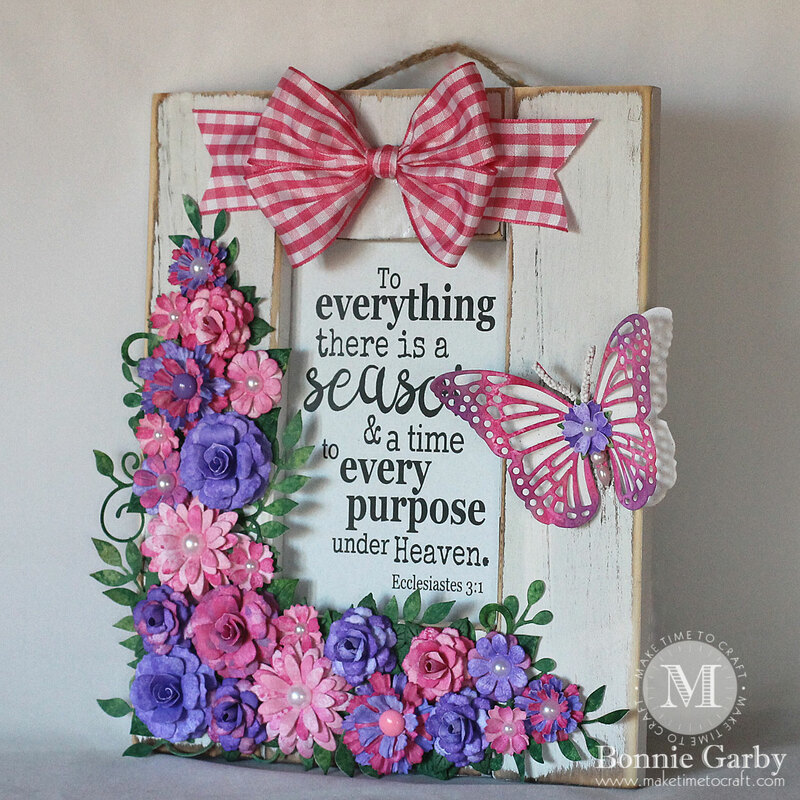 If not, why not head back to the Cheery Lynn Designs Blog and start from the beginning so you don’t miss any of the terrific projects. Our blog hop today is all about FLOWERS. 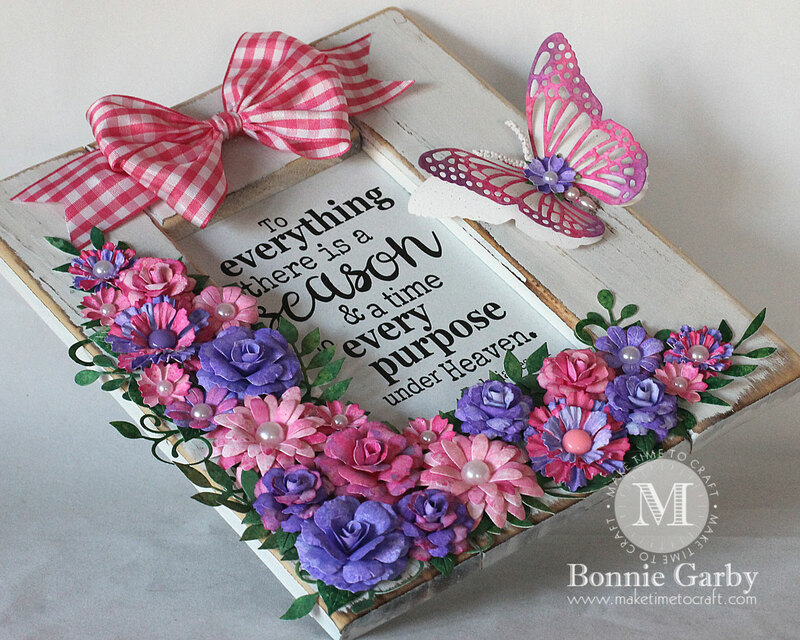 I just love creating gorgeous three dimensional paper flowers and Cheery Lynn Designs has some wonderful flower dies. I found the frame I used in the discount area at one of the chain craft stores and it’s been waiting for it’s moment to shine for a while now. 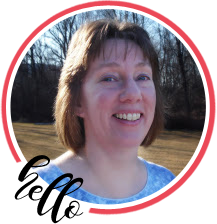 This blog hop was the perfect opportunity to pull it out and use it. 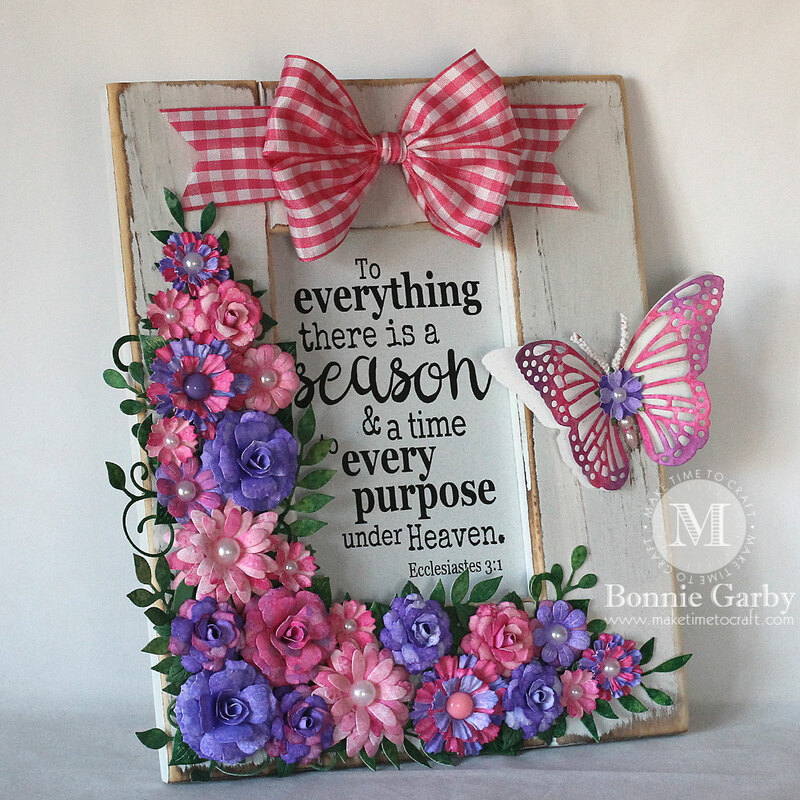 The lovely sentiment is a digital sentiment from the Graciellie Design ‘This Season’ set. I created a base layer of greenery using the two flourishes and some of the foliage dies from the Floral Bouquet kit. Then I created my flowers and added them on top. My flowers were made using several distress ink papers I created which gives them a lot of depth and color. I will share one of my flower making video tutorials below. You can find several more if you visit my YouTube channel. My bow was created on my Bow-it-All V3.0 Tool using 1-1/2″ Bright Pink Gingham Ribbon. Your next stop is Debbie’s fabulous blog. AMAZING! I can’t say more… :O Wow! This is beautiful Bonnie. 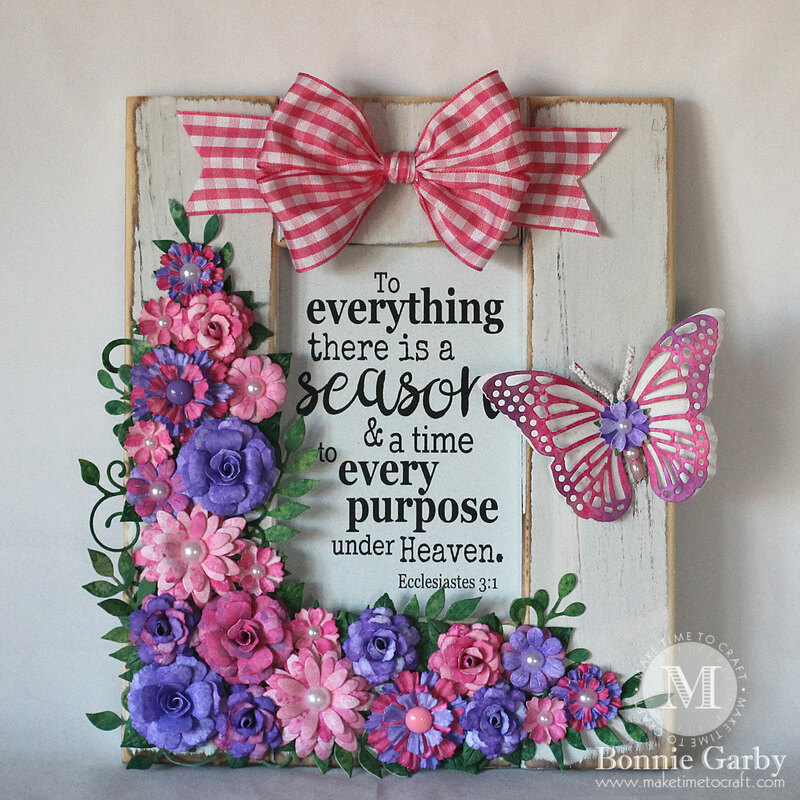 Those flowers have SO much detail and the way they frame this sentiment looks like they were meant for each other. Beautiful in every way. I love it. There are so many flowers! That is dedication. Love it! What a beautiful, eye-catching card. I love the flower arrangement you created. Now that is Flower Power! Loved the colors you achieved from making your own papers. And I have not seen a bow done like that. Great Scripture sentiment too. Well done! Beautiful flowers and the project is lovely. I will be watching your videos. Wow! I can’t believe you made all those flowers. They are beautiful. So beautiful. Thanks for the videos. Beautiful embellishment of the frame! Love the colors and dimension! Such gorgeous flowers! Wow, all those beautiful flowers. Love this card. Beautiful work of art. Love it. Wowzers!!!!! That is such a stunning garden frame! A beautiful piece of art Bonnie.